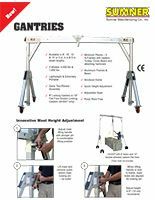 Tools Rebates Ottawa | What's New | Len Murray Supply Inc.
At Len Murray Supply Inc. in Ottawa we're always on the lookout for new, innovative tools that help you work more safely and efficiently. For example, we've recently added the Greenlee® GTS-1930 & GTSD-1930 Cable Stripping Tools and the M12™ 160X120 Thermal Imager to our inventory of tools. Check this page often to see what new tools we have in stock that can save you time and money. Contractors and engineers should be aware of defective and counterfeit rods being imported to Canada. The affected products are being sold as "A307“ threaded rod. 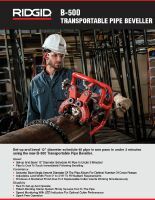 Read this article for more information on what to look for and the differences between standard and substandard rods. 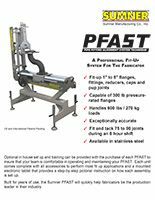 Check out this YouTube video to see the B-500 Transportable Pipe Beveller in action. Check out this YouTube video to see the Milwaukee Knockout System in action.